LF Josh Altmann homered in the first inning and one more in the fourth inning for the Down East Wood Ducks (39-40, 4-5), as the Potomac Nationals (40-35, 3-5) fell 5-3 in the series finale on Friday night. RHP Matthew DeRosier (L, 0-1) surrendered a solo home run to Altmann to begin the home half of the first inning, and a two-out, three-run, home run to the outfielder in the fourth inning. Altmann’s second home run proved to be the game-winning hit. In his first start with Potomac, DeRosier gave up the home run to Altmann four pitches into his outing. The right-handed starter then stranded the bases loaded in the second inning, and worked a perfect third frame. After two quick outs in the home half of the fourth inning, C Matt Whatley singled, while CF Eric Jenkins drew a walk. Altmann stepped in for the third time in four innings, and once again, crushed the fourth pitch of the at-bat from DeRosier over the left field wall. The Wood Ducks led 4-0 after four frames. Potomac got back in the game against RHP Emerson Martinez (ND) in the fifth inning, as the righty failed to get through the frame. Martinez faced just three over the minimum through the first four innings, but ran into two-out trouble in the top of the fifth. With 3B David Masters on base, 2B Bryan Mejia drew a walk. CF Jack Sundberg put the P-Nats on the board with an RBI single, and after DH Aldrem Corredor drew a walk, 1B Nick Basto made it a one-run game with a two-RBI single. Basto knocked Martinez out of the game, as LHP Locke St. John (W, 3-2) entered to face LF Rhett Wiseman. St. John unleashed a wild pitch, which advanced the tying run to third base and potential go-ahead run to second base, but Wiseman grounded out to first base. Potomac trailed 4-3 and didn’t get a man into scoring position the rest of the game. St. John allowed only one hit over 2.1 innings of shutout baseball, while RHP Jacob Lemoine (SV, 3) retired all six batters that he faced, as he closed out the Wood Ducks’ victory. Down East got an insurance run against RHP Jeremy McKinney in the fifth inning, as three straight singles made it 5-3 in favor of the Wood Ducks, the eventual final. Off the series loss, the P-Nats will head to Myrtle Beach, SC for the first time this season, and begin a four-game series on Saturday night. In the opener, LHP Matthew Crownover (3-6, 5.27) is set to get the start for Potomac. Crownover has lost each of his last two starts, but has recorded a quality start each time. For Myrtle Beach, RHP Erich Uelmen (1-0, 5.06) will make his second career Carolina League start. In his debut on 6/24, he allowed three runs over 5.1 innings in a victory. This will be the first meeting of 2018 between the two teams. First pitch at TicketReturn.com Field on Saturday is set for 6:05pm. The Potomac broadcast will get underway at 5:50pm with the P-Nats Leadoff Show. 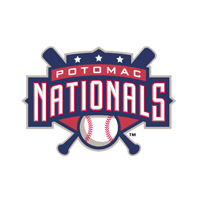 You can listen to the Potomac broadcast at potomacnationals.com, at http://bit.ly/P-NatsBroadcast, or on the TuneIn Radio App.